For most of us, the soothing power of water has immeasurable value. 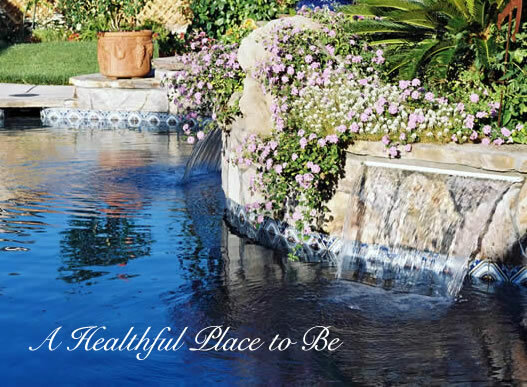 By adding a Paradise Pool, your home becomes increasingly more important to your well-being. Near the water you will enjoy thinking, reading, dreaming and total relaxation as it was meant to be. 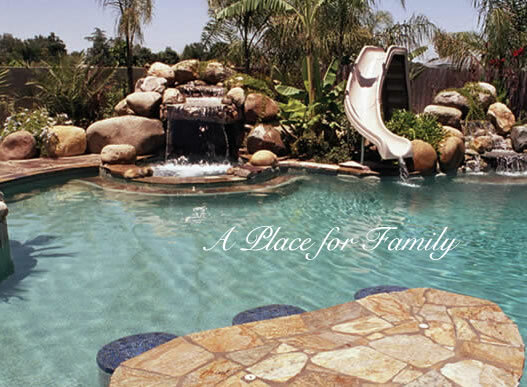 There will never be enough reasons for families to come together; a Paradise Pool is one of the best. It has a way of helping people speak to each other, to enjoy each other and to get to know each other better. As it is, life is like swimming upstream. Daily Encounters can be stressful and unforgiving. With a Paradise Pool, that stream becomes a private lagoon for tanning, for toning, for pampering and for renewing the spirit. 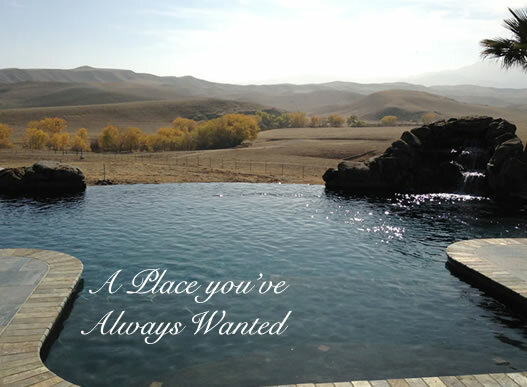 Aesthetically speaking, a swimming pool enhances everything close to it. 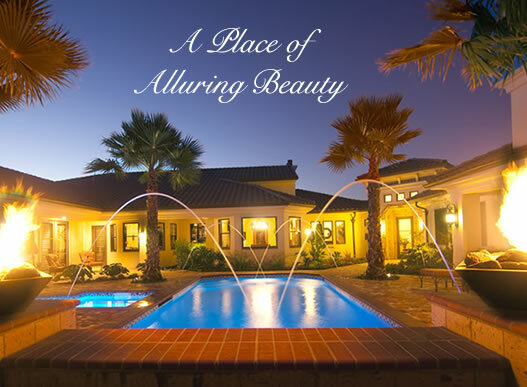 The pool quickly becomes a piece of art, the focal point of the garden and the center of visual activity. Almost without warning, it has the unique ability to change moods for the better, as it glistens in the sunlight or reflects the moon and the stars. Surely it captivates as it tantalizes the heart, the mind and the soul. It's been called the key to an endless vacation, but owning a Paradise Pool is even more rewarding, especially for the children. This tends to be true for the "child" in all of us. Think of your home as a beach house, a glamorous hotel or that perfect resort you love so much. When it belongs to you, it truly is one of life's greatest rewards. A Paradise Pool is an enhancing destination for crowds of any size. 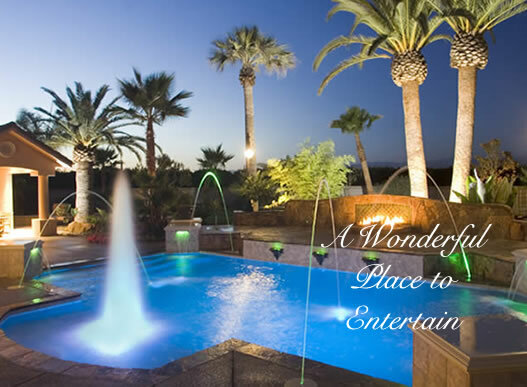 It awaits you and your guests with its tropic-like splendor. Romantic dining, neighborhood gatherings, weddings, even dinner with the boss can be more civilized, more enjoyable day or night. Spectacular results occur near the water. Isn't it wonderful to be able to fulfill a dream? To capture the one thing in life that has held you for so long? Others have known the same feeling. Like yourself, each felt the magic a swimming pool possesses. Just a glance in the moonlight, or in the morning mist, is all it takes. Even in the brilliance of daylight, a Paradise Pool has the power to entice and then to satisfy everyone caught in its spell. 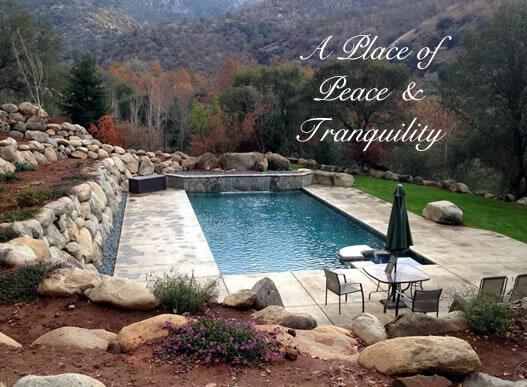 Call Paradise Pools™ by John Sweeney at 559-635-9637 or Click here to email and start building your Paradise today.